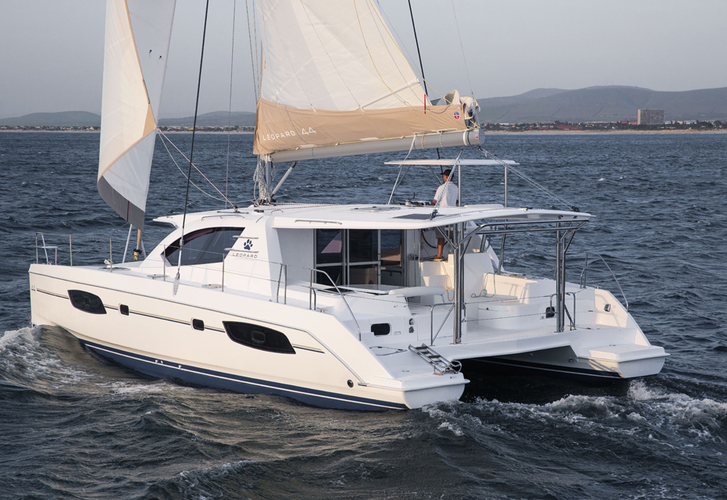 Boat Leopard 44 called Portals Vells has been produced in 2013. We offer this boat from base Palma de Mallorca around Palma De Mallorca. Leopard 44 Portals Vells has 4 cabins. For guests disposal there are 3 bathrooms. Portals Vells is 12.98 meters long and 7.25 meters wide. Depth is 1.27 meters. You can analyze other vessels clicking here: Catamarans Palma de Mallorca. Vessel's equipment includes : Mainsail with lazy jack. . Deposit accounts for 3000.00 EUR. Choose our offer and spend great time on the deck of Portals Vells. This Leopard 44 from Palma de Mallorca from Balearics Analyze clicking here: Catamarans Balearics.